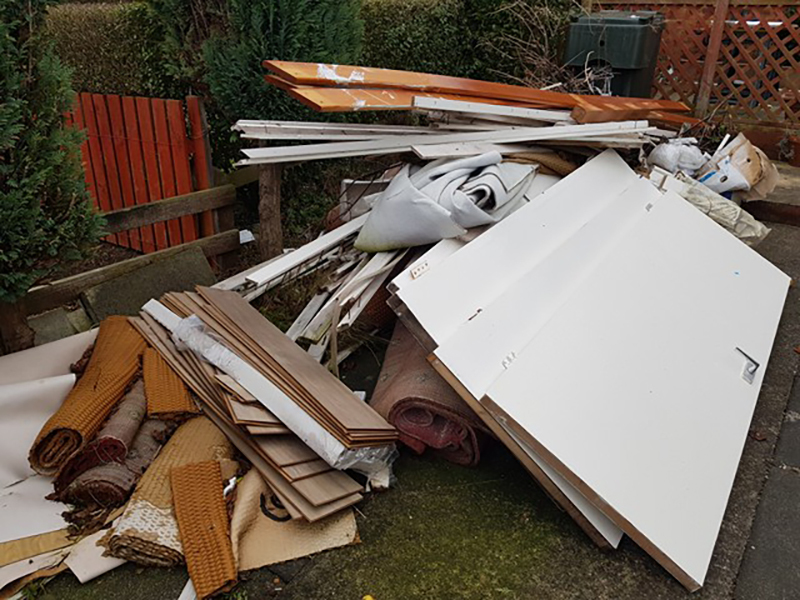 “We provide a rubbish removal and junk collection service all over Teesside and the North East. 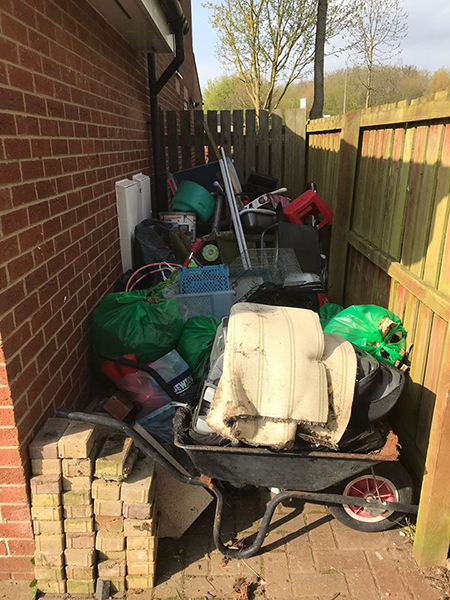 If you need a collection in a hurry, we are able to remove all your unwanted junk the same day or on a date that suits you.“ So, if you have a shed or attic or even a complete house or flat with rubbish that needs to be cleared then we are your people. We always have our man and van clearance trucks clearing junk all over Teesside and the North East on a daily basis. 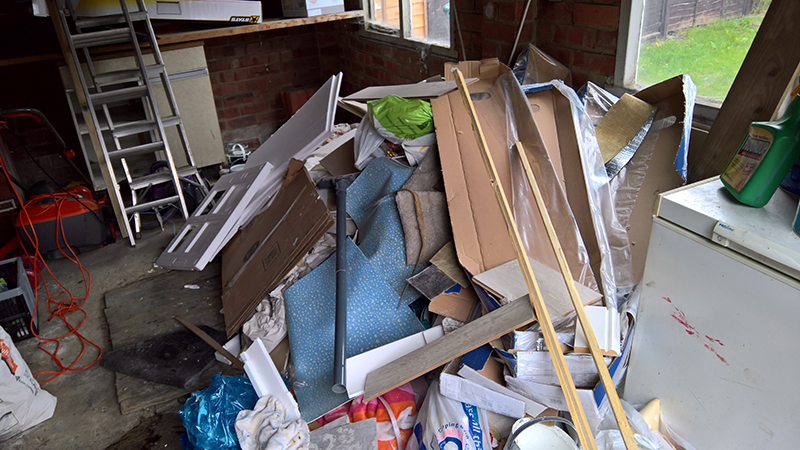 Our rubbish removal also includes builder’s waste clearance, garden clearances, house and flat clearances, garage and shed clearances. 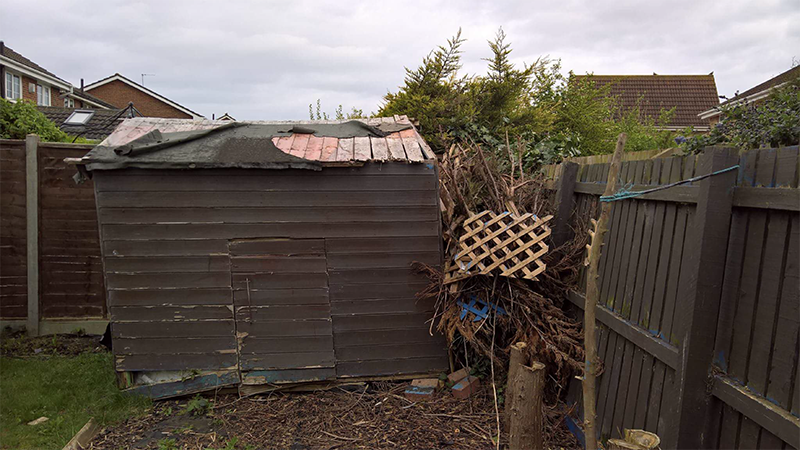 We collect all garden waste, including garden furniture, plant, hedge or tree trimmings and shed removal, and dispose of it in an environmentally friendly manner at a certified recycling centre. 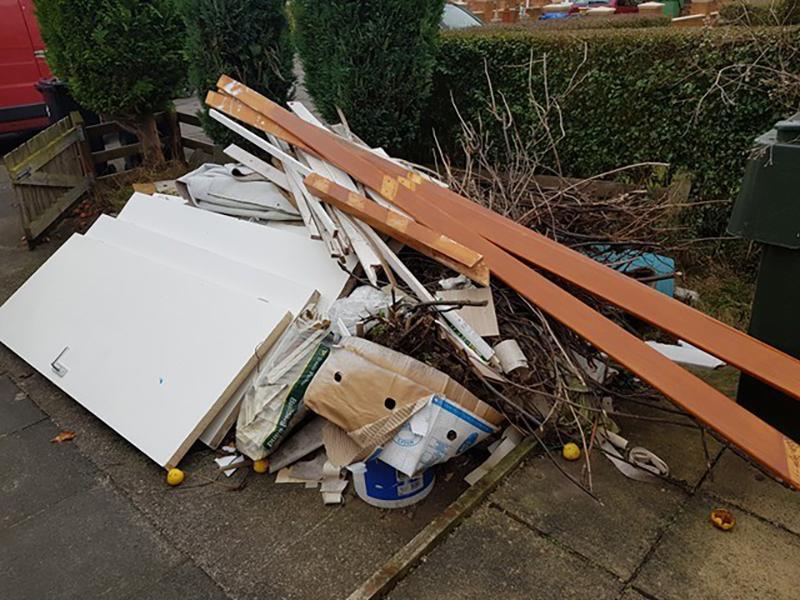 We can clear all your outdoor garden rubbish/refuse from your back garden, front garden or roof garden from all over Teesside and the North East. We provide a fast simple collection and a fully recycling waste stream to ensure all your unwanted garden material is recycled as much as possible. We can offer a same day service catering for all needs, ranging from a large waste clearance to a small quick clearance which can be as little as a quarter of a skips worth of waste…it’s your choice! Man and Van waste clearance service covering Teesside and the North East. 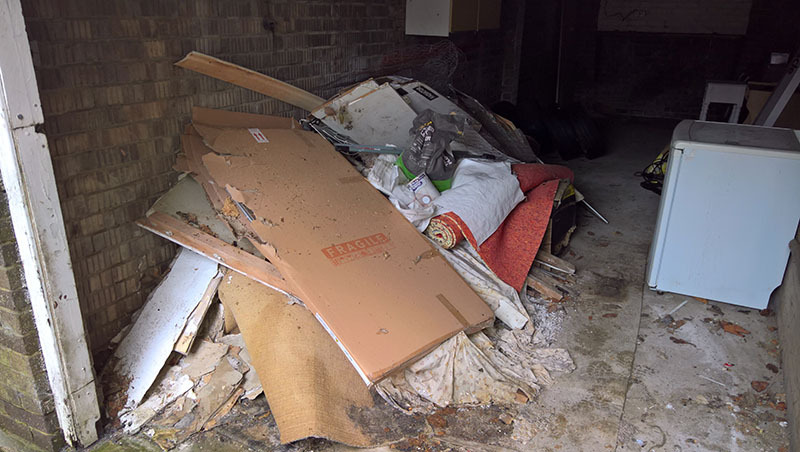 For all your house waste clearances, we can collect all your unwanted household waste from anywhere in the building, from a single item to whole property clearance, with our clearance man and van team. We will collect from all commercial properties all over Teesside and the North East for all your unwanted waste. We are a fully licensed man and van waste clearance service. We are committed to recycling and will have a waste clearance with you on the same day or a scheduled day as required. Clear It! 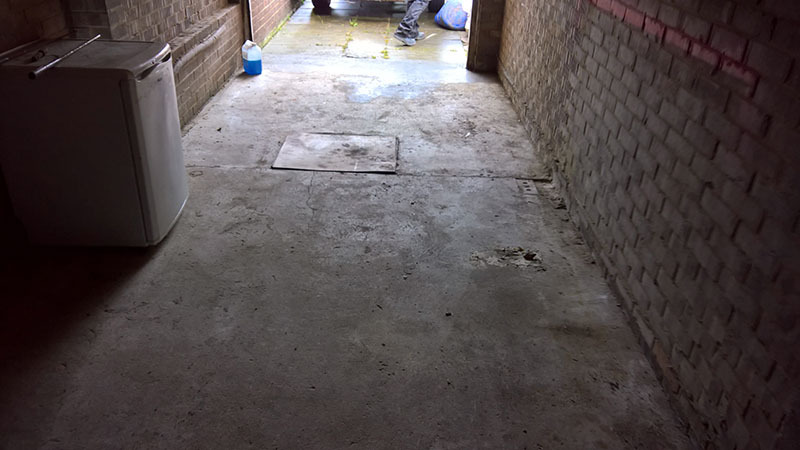 (Teesside) Ltd provide services for conducting thorough syringe, needle and sharps searches and sharp disposal, biohazard cleaning, needle disposal including removal of litter, clearing of ‘void’ and end of tenancy properties and outdoor areas. Sharps are carelessly discarded by their users and pose a very real threat to the health and safety of the public and employees that should not be underestimated. Blood borne viruses such as HIV, Hepatitis A and Hepatitis B are highly infectious and any contact with them can have very serious and sometimes life-threatening consequences. Very happy with the service provided by Clear It! (Teesside ) Ltd. They removed a bed, a carpet and an extremely heavy mattress from a bedroom – something I would have been completely unable to do myself. They were efficient, punctual, careful and very pleasant. Just to say many thanks for your prompt clearance of my parents garage this afternoon. 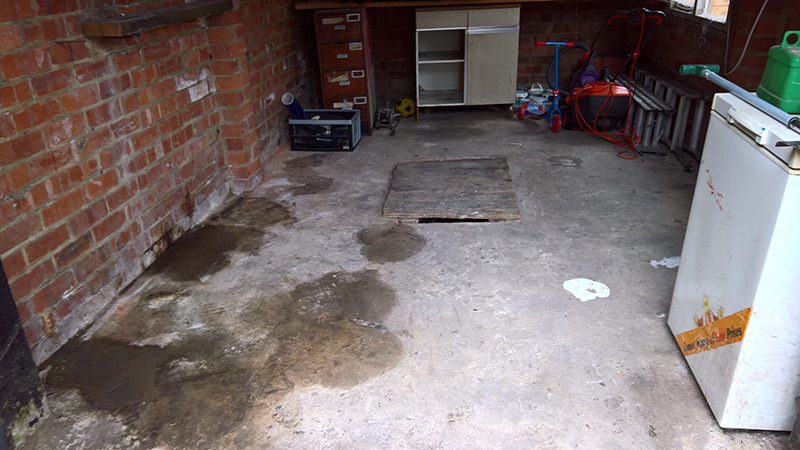 I only phoned you yesterday and you have been courteous at all times, keeping me informed of time delays( you were in fact early in the end) and you and your two helpers worked quickly and efficiently leaving a well swept tidy garage for a very reasonable price. Who needs skips ? I shall certainly recommend your services to others and will contact you myself as necessary. A very efficient and reasonably priced service – would thoroughly recommend this company! If you have ‘ rubbish ‘ that needs shifting or clearing up then Clear It! are the best around. Fully licensed, very professional and thoroughly efficient. They did everything they said they would and more . Highly recommended. Great service and a good job well done. Highly recommend. Anyone looking to get rid of rubbish household stuff they can’t move to the tip themselves I can honestly recommend these guys. I’ve just used their service they’re very friendly great grafters took all my father-in-law’s garden waste nothing was to much trouble really good price too. Thanks guys great job. Cannot recommend this company highly enough – absolutely first class job. Professional, efficient from start to finish. Impressed by qualifications and waste management certification showing them to be environmentally sound. Quality and value for money – what more could you ask! Excellent service from Clear it Teesside.l today. Professional, reliable and good value. They left the area spotless too. Worth every penny! Very impressed by Clear it -Teesside. Gave a fair and reasonable price for the job. Customer service is amazing. Very professional, friendly, polite and courteous. Shook my hand, offered to take their shoes off, due to item being in the front room. I needed rid of a very heavy, large electrical printer. (I’m talking 13 stone in weight of printer!) Not a problem for these boys though and I have peace of mind that it has been disposed of responsibly. I will definitely be using these guys again and fully recommend. Well done lads, spot on, I am one happy artist now I have my house back. Thank you for your wonderful and professional service. Shab came around and gave me a quote for a job I needed doing (clearing some stuff). Genuine guy who won’t rip you off. I would highly recommend using his business. Thanks Again. 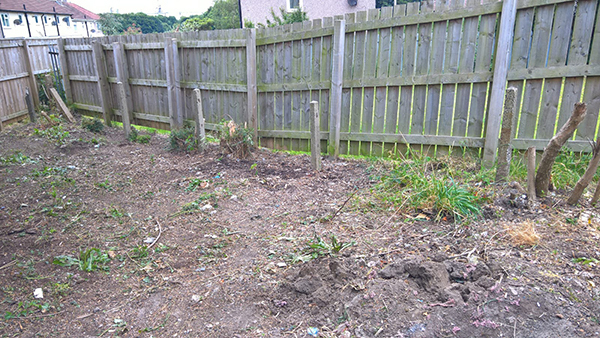 They removed some rubbish from my garden. Very quick response to my initial email. They came the next day at the time they said they were going to come and were very courteous and efficient. These guys offer a great service and I found it much more convenient than hiring a skip. I would definitely recommend. Very polite and genuine lads. Thanks Shab for a great job. We recently moved to a new house and Clear It – Teesside Ltd were recommend to us. They were very professional, polite, and very well priced and I wouldn’t hesitate to recommend them to other people and will use them again. Thank you. 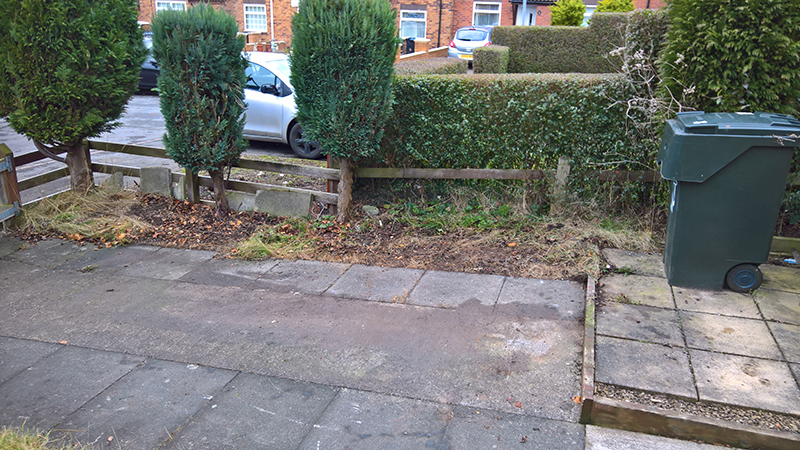 Clear It removed some wood and rubbish from my garden. They were very polite, and nothing was too much trouble. I didn’t need to be home, but they still had the courtesy to call me to let me know how the job went . They did a great job, were very efficient and the price was great. I will certainly use again and recommend to everyone. THANK YOU! I can’t recommend this company enough! What gentleman they are, nothing is too much trouble for them. I can honestly say, just knowing that someone is coming to take your rubbish, or whatever you need taking gave me a huge sigh of relief on moving day. Also Clear It! came highly recommended to me. They came out to assess how much stuff to be cleared. Shab gave me an honest quote. We arranged for them to collect everything at 10 am the following morning, as I was also moving to a new house, so stress levels were high enough. They triple checked the garage for me, just to check that what they had taken, was supposed to be gone. They won’t leave you in the lurch and leave things they should have taken until you walk around and you’re happy. On the day, they took a few extra things, I hadn’t seen or missed, nothing was too much. The price he quoted stayed the same, even though they cleared more. They are so professional, friendly and honest. I would not hesitate to use this company again. So, if you’re moving etc and you need clearance, call Shab Malik, he will assess it. I would say that they do what it says on the tin, but that would be a disservice to them, as they take pride in what they do, and if it’s there, and you want it gone, get in touch with them. Price wise, if I was to just do runs to the tip, then sorting it when you get there, it would have taken days with about 15-20 trips to the tip. Hire Shab, and you can tick off (rubbish removal, trips to the pit, sorting through it etc) Also petrol that you would need to be able to go to the tip over and over. I would recommend everything about this company . Quick to reply to initial enquiry, very reasonable . Turned up on time and were quick and efficient with what they needed to do . Everyone involved was mindful of the surroundings and not to damage anything or take anything that wasn’t to go . I am difficult to please, but I would 1 million % advise you to consider these guys for you next clearance . Contacted Shab on Saturday for a sofa removal and his quote was considerably cheaper than everyone else. My old sofa was collected by lunch time on Monday. Fantastic, quick and most of all, reliable and friendly service. Will be using again and recommended to friends and family. I called Clear It! (Teesside) Ltd to carry out a property and garage clearance for me due to a house move. Shab came and gave me a competitive quote for the work, so, I arranged with him a day for the work to be carried out. The team turned up on time and carried out the work to an excellent standard and in timely manner. I was most impressed with the professional way in which Clear It! conducted themselves throughout the whole process and wouldn’t hesitate to recommend their services. 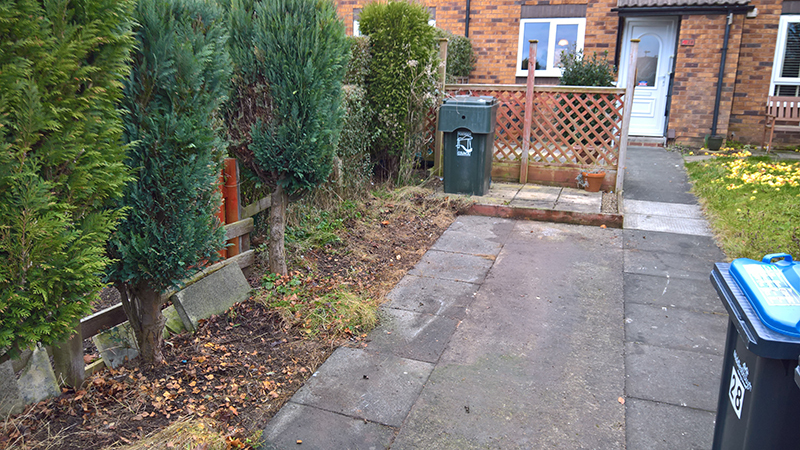 After a family bereavement we asked Shab to carry out a full house clearance and garden tidy up. The work was carried out efficiently and sympathetically, in a very timely manner and at a very reasonable cost. We have no hesitation in recommending Shab and his team. Excellent. 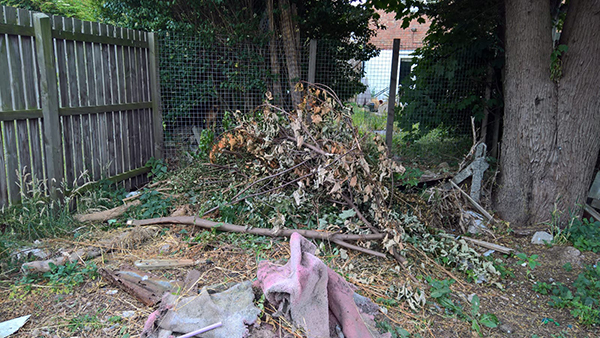 I contacted Shab about removing lots of garden rubbish and wood from old decking. He came around same day to give me a quote. He was friendly and organised to collect everything two days later. He came the next day for the sacks as he was nearby and said he would collect the wood the following day. He called early on the morning and I was delighted to see that he even swept up too. 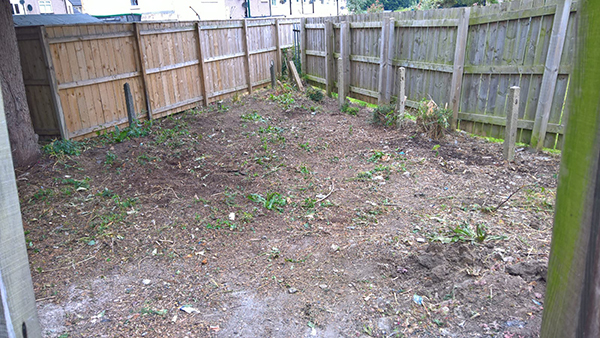 The area was left clean and tidy. I would highly recommend him. Thanks, Shab. Would highly recommend Shab and his team ~ such a clean & efficient service. Thanks Shab for a speedy and efficient service. Called last night and came today. 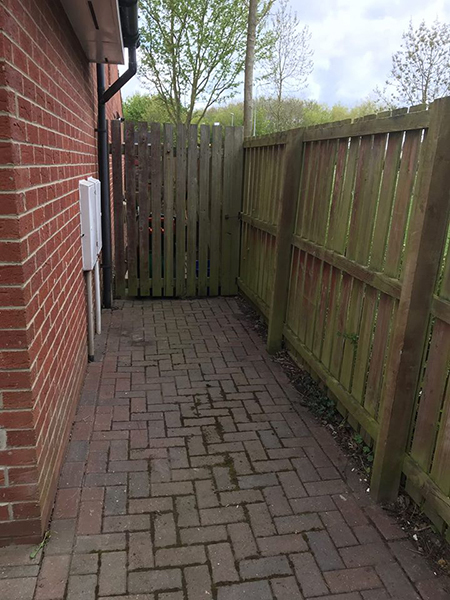 Lovely clean and tidy job. Highly recommended. 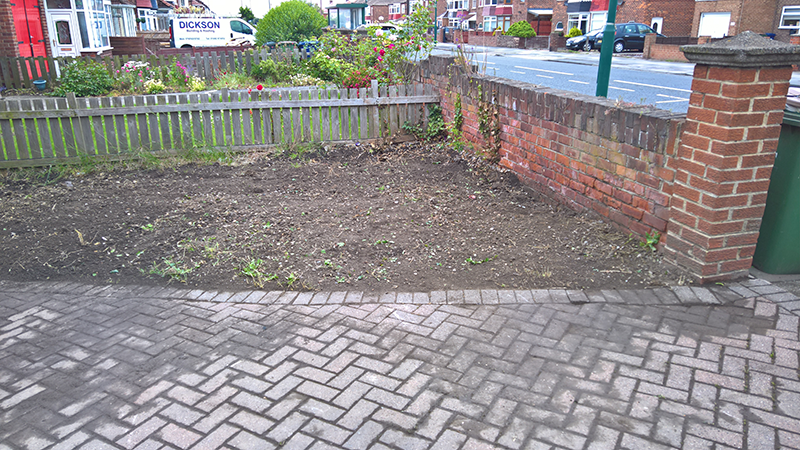 Nice job – everything removed as requested and left the area extremely tidy. Great service from the start to the finish . highly recommended. Fantastic service from Shab and his team yesterday. Thoroughly professional and helpful, friendly approach. He did all that he promised, and it was a pleasure to do business with him. Would have full confidence in him to carry out any clearance task and I recommend him unconditionally. I telephoned Shab to come out and give me a quote on Monday morning , he came promptly on the afternoon, gave me a price to start on 5th July. He arrived with his team on time ,highly delighted with their work he said they would leave the job all sorted, and, they certainly did that , nothing was a problem to them. I would certainly highly recommend them and will be using them again. 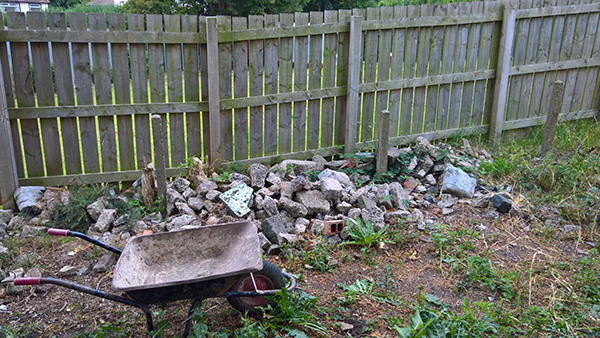 Would like to say a massive thank you to Shab and Ian from Clearit-teesside.co.uk, who have worked tirelessly today moving roughly 5 tonnes of rubble and garden waste from my back garden. All items removed are disposed of via registered waste disposal firms. Both Ian and Shab showed a professional attitude to the work they undertook and were courteous and polite throughout their time at our house. Made initial enquiry last Wednesday and confirmed booking on Friday was surprised at how quickly they were available to come out, after completing the work I got a call to say the price I had been quoted was to be changed and I was actually charged less because the job had not taken as long as anticipated. Shab will post before and after photos on their website, these show the tremendous difference once they had finished. I made contact with Clear It! via the local evening Gazette and the service and I got was excellent with people on time. Three friendly faces and taking less than 30 minutes to clear the items out of my house including the detachment of a gas cooker – if anybody wants their house clearing at any time I would highly recommend this company. Fantastic service five star!! Nothing was too much trouble made everything so simple and easy. Would recommend to anyone. Got Shab to move sum trees and green waste, top job, on time and all removed, great service would recommend and use again. Great service and price came out same day and cleared all the rubbish from my rental property. Thank you. A fantastic, thorough job from start to finish, at a great price! Will definitely be using Clear It again to remove more garden waste! Thanks, Shab and the team. Called Shab after a recommendation, he was there the next day cleared all the rubbish in about 10mins for a very reasonable price. Will definitely use again, thank you! An excellent job clearing my garage out, hardworking and thorough, sifting through junked up garage, and, separating the keep stuff to an excellent standard. Friendly and nice people to deal with. Real good value getting my junk away. It’s a big relief to see it all go, and, would certainly use them again – excellent. After reading the reviews on FB, I contacted Shab for a quote to remove a lot of cardboard and garden waste. He came out on Bank holiday Monday and cleared it a couple of days later. 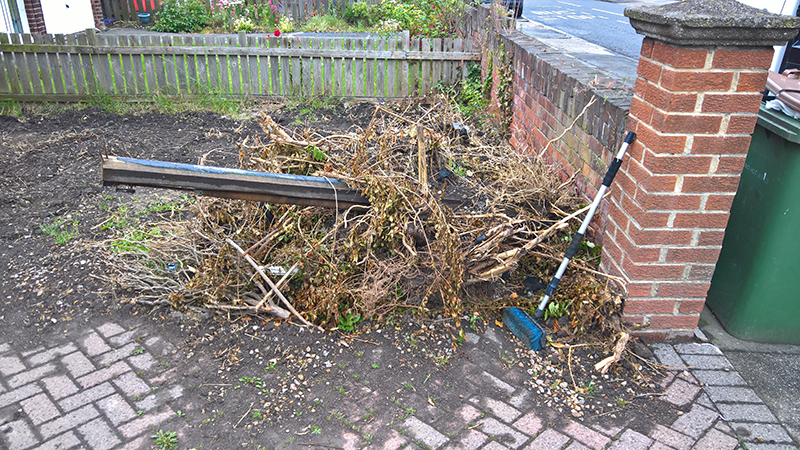 We have hired skips before and there is always a mess to clear up. After Shab and his team left, you wouldn’t have known that there had been any rubbish! Fantastic job done, and we will definitely use Clear-It again. No more skips! Thanks, Shab. I would recommend you for a prompt, efficient and friendly service, a pleasure doing business with you sir! — Genuine 100%! Brilliant, thank you! Glad to see that clutter gone out of my garden!! Cheaper than Hambleton District Council ….!!!! Excellent Service, on time as told to collect the waste would defiantly recommend them. Very efficient, hassle-free and a nice friendly service….Highly recommended! He came out gave me a quote and he was so lovely. He doesn’t pressure you into using his service and is so genuine. He came out and done an amazing job removed everything that needed removing. Left it clean and it didn’t take him and his team long at all, very professional. I will would definitely be using him again in the future! 100%. Friendly and professional service. No messing around. They came, and they cleared it! Highly recommended. Very impressed!! Got in touch Tuesday about removing an old settee and was taken away Wednesday. Friendly, efficient service. I will definitely will use again. Thank you. 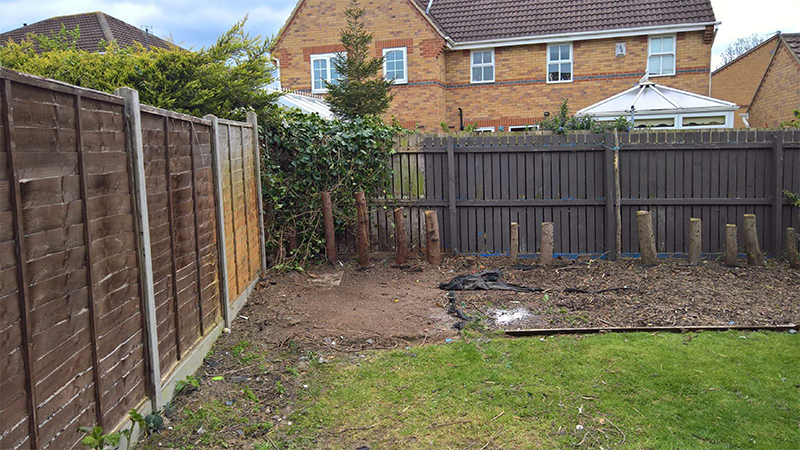 Got Shab to move some garden rubbish and old fence panels from my garden to make space for my new shed… he gave me a quote and came around 2 days later and got rid of everything, very clean, very tidy, well happy with the work that was carried out and would highly recommend these guys… well done and thanks again Shab. From start to finish the process was smooth, well communicated and done with minimal fuss. Excellent job and all at a reasonable cost. I will be coming back to Shab and the team in the future. Excellent, personable service that is competitively priced and very efficient. Would definitely recommend!! !